Have you ever wondered which flooring is best for which room? Much of this is up to personal preference, but there are some logical choices for what type of flooring you should choose for each room. Whether it’s luxury vinyl, carpet, cushioned vinyl or laminate, here are the suggested types of flooring for each of your rooms. The living room is where you put up your feet, relax and have a good time. Flooring in the living room needs to be cosy and durable because your family will spend a lot of time together in the living room. Our top choices for the living room are carpet, luxury vinyl tiles (LVT) and laminate. Laminate is a clean and inexpensive flooring that can closely resemble wood without requiring the same maintenance. LVT is generally slightly more expensive so your budget and design preference would determine its choice. If you have decided on a hard floor our blog post ‘Luxury vinyl vs laminate flooring – pros and cons’ might help you decide. 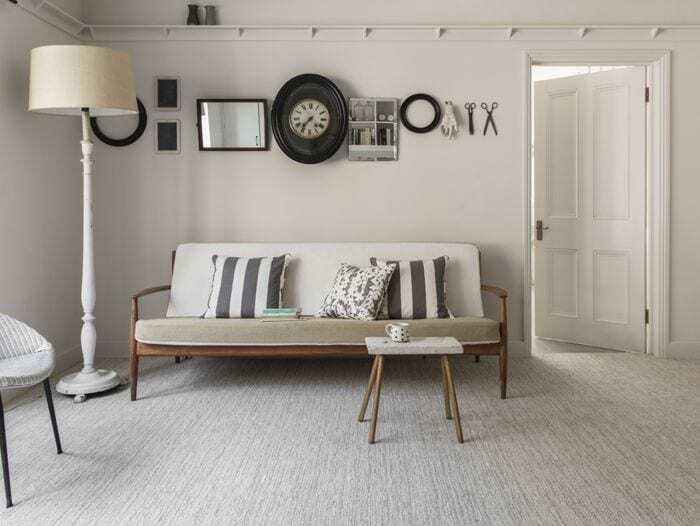 Carpets are great for creating a cosy feel to your living rooms. The soft cushioning of carpet feels nice on your feet and has a great presentation. We would recommend a nice living room carpet. The kitchen can be a messy room. Spills are common, it might lead into your garden and you are likely to drop things once in a while. Between all the dirt, grime, spills and mud stains, you’re going to need a floor that is resilient yet easy to clean. 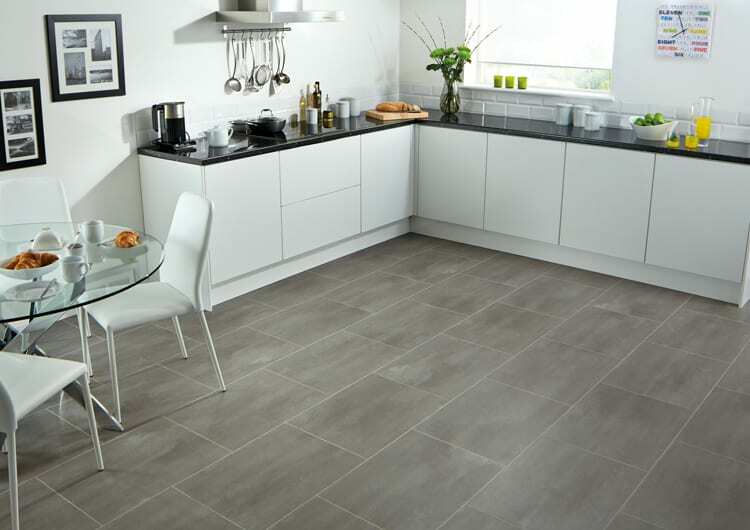 Sheet vinyl, or lino, flooring is a great choice for kitchens because it’s an affordable way to cover up a large room. In addition, it’s easy to install yourself which means any damage can be replaced without much DIY knowledge. However we would recommend luxury vinyl kitchen flooring if the budget allows. The choice of colour and design, plus the fact that it is the ultimate hard wearing flooring makes something like a Karndean kitchen floor hard to vote against. The bedroom is a space in the house that can be personalised, which is why there isn’t a right or wrong choice. It all depends on what you prefer, but we suggest carpet. 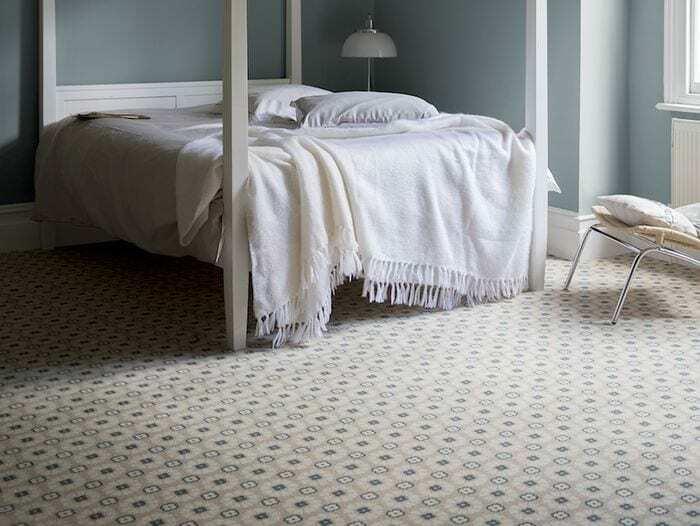 Carpet creates a luxurious feel in your bedroom and feels warm on your feet. However there is a growing trend for a hard floor, LVT or laminate, and a rug. We offer a rug maker service through Alternative Flooring. We do not recommend carpet or hard wood in bathrooms. 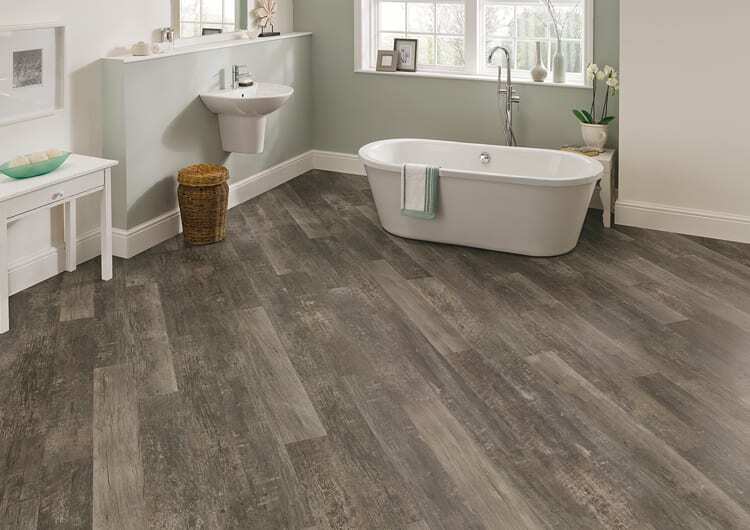 Luxury vinyl, cushion vinyl and laminate are excellent choices for bathroom floors due to their practicality and how great they look. Lino bathroom floors are popular as they can be typically laid yourself and there are countless different styles to choose from. Alternatively laminate flooring is great if you want to replicate hardwood flooring, but you must protect it from moisture damage. LVT bathroom flooring is our recommendation as it is waterproof. Hope that’s given you something to think about, happy choosing!